This my Male Pastel enjoying his new tub. Any questions on the rack just post And I will anwser them for you. I am just glad to get it done where I dont have to worry about there temps. I had a Zoo Med T-Stat that I was always adjusting, temps to high and then low. But it's all good now. That is looking great!!! I need to get started on building one, the pvc one that i have is now full and i am not done yet. 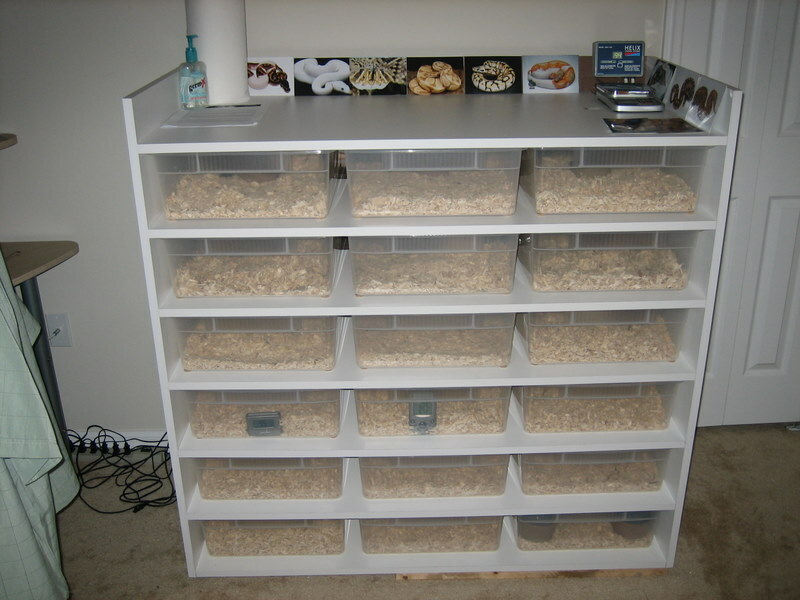 I did get an idea from the breeder i pick my snakes up from on the melamine rack. 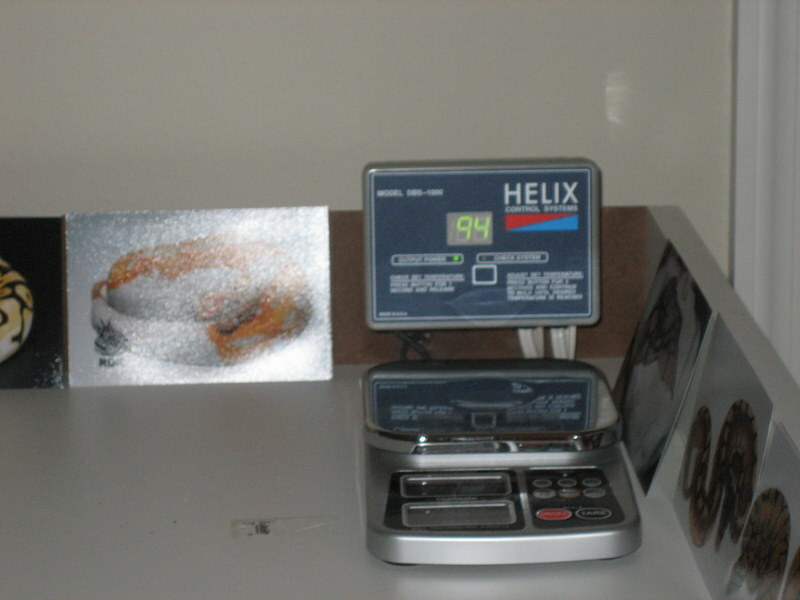 He found at a local hardware store a piece of thin metal that is u shaped that slips onto the face of the mel. to stop it from bowing over time. That said i will be visiting my local homedepot to pick some stuff to get started on mine. Great rack! 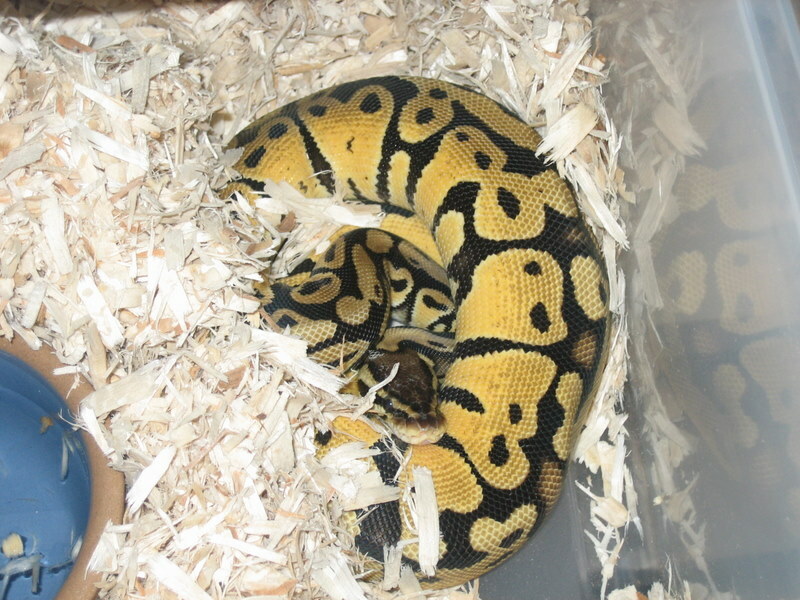 1.1 pastel balls, 0.1 spider ball, 1.0 green tree python, 2.0 high yellow jungle carpets, 0.1 jaguar jungle carpet, 1.1 hypo-red group boa, 0.1 suriname boa, 1.0 ghost boa, 1.0 hypo boa, 1.0 anery boa, 1.0 red albino, 0.1 het red albino, 0.1 jungle het albino, 0.1 sunglow, 0.2 het albino, 1.1 proven DH snow, 0.1 het anery, 1.0 dh sunglow, 1.1 normal rtb. That came out awsome! What size tubs? on a side note, really nice pastel!! Warm side should range from 92-94, and the cool side from 82-84 Mine are 94 on the warm side and the cool side is 82. The number are right in the right range.